A lot of people are familiar with the fact that Yugoslavia was once a kingdom. Others know it as a country led by communists. Both are very true. Were you ever curious about how that transformation even came to be? Have you ever wondered how communism prevailed against the royal dynasty? Or how the Communist Party even gained that much influence in a traditional monarchy? The truth is – the transition wasn’t smooth and it wasn’t quick. What many think is the most intriguing era of Yugoslav history, the era of communism, and, more precisely, the transition from monarchy to republic, was a bumpy road. Just like most of world politics in the 20th century, this period was everything but boring. Yugoslavia, or, translated to English, “land of the South Slavs”, was a country formed in 1918. The term Yugoslavia is intended to indicate the lands occupied by the Serbs, Croats, Bosniaks, Montenegrins, Slovenes and Macedonians. It was initially a monarchy named Kingdom of Serbs, Croats and Slovenes, and, after several political changes, the name eventually became Socialist Federal Republic of Yugoslavia. Communist parties existed in almost all Yugoslav countries since the very beginning of the 20th century, but only in 1919 they all unified to become one political party. It was relatively unknown around the world at the time, but it grew to become very influential and significant. The party, just like the country itself, went through many turbulent changes, until it finally dissolved in 1990. The October Revolution in 1917, among other things, was the thing that stimulated the revolutionist mindset in Yugoslavia. The Yugoslav communists were encouraged by Russia’s example. Another encouragement was the existence of the Comintern – a centralized institution that advocated world communism and therefore provided a sense of belonging to the Communists of the world. Consequently, a couple years after the revolution, it was clear that the socialist movement had to come together in order for it to be more powerful. In 1919, at the Congress of Unification held in the Yugoslav capital Belgrade, most of the social democratic Yugoslav parties united and formed an opposition party – the Socialist Labor Party of Yugoslavia (of Communists). That same year, the socialist women united at the first Conference of Socialist (Communist) Women, the Central Workers’ Trade-Union Council was founded, and, in Zagreb, the Alliance of the Communist Youth of Yugoslavia was formed. They all accepted and followed the party program, which was described as “the synthesis of the Social Democratic ideological heritage with the experiences of the October Revolution”. It was predominantly oriented towards a forthcoming revolution, whereas the Practical Program of Action was oriented to a long-term political fight within the system. 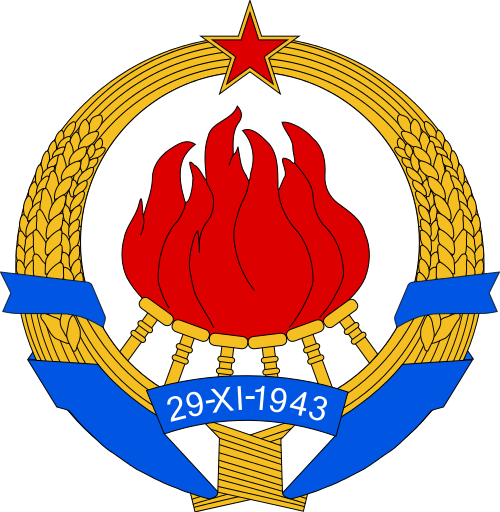 The following year, on the second Party Congress held in Vukovar, the party changed its name to Communist Party of Yugoslavia. The newly formed party organized several rallies of support for Soviet Russia and the Hungarian Soviet Republic, as well as a few protests against the political situation in their own country. The growing popularity of the Communist party started posing a threat to the king and the government. During the local elections of March and August of 1920, the Communists won majority in several cities, including some big cities such as Belgrade, Zagreb, Podgorica, Skoplje, Niš. In the Constitutional assembly elections in November of that same year, they received 58 out of 419 seats and ended up being the third largest party in the assembly. Around that time, there were several miners’ strikes near Tuzla, Bosnia, one even resulting in the deaths of four miners and a policeman. The government decided to take advantage of that situation and accused the Communists of preparing a putsch. Then, they issued the Obznana (“announcement”) decree in December of 1920. Obznana prohibited all Communist activities until the adoption of the new constitution. The measures included shutting down the Communist newspaper (or any type of propaganda that would validate or promote dictatorship or revolution) and seizing the party’s property. Some of the party leaders were arrested and therefore the party formed an Alternative Central Party Leadership. Soon after that, the Assembly passed the Law of protection of public security and state order which banned the party and all Communist activity indefinitely. The decree as well as the law got mixed reactions from the public. Some supported them and accused the Communists of being part of a foreign party and receiving orders from abroad. Certain newspaper wrote that the measures should have been even more severe. On the other hand, many criticised it for being unconstitutional, since the Constitution guaranteed freedom of speech and thinking. It was also noted that the government didn’t treat communism as a political movement, but instead as anarchy and terrorism. Still, the last assembly session which included communist representatives was held on August 2nd 1921. Two days later, all communist representatives’ terms were annulled. From that moment on, the party started functioning as an illegal revolutionary organization. Around the same time, a group of party leaders formed the Executive Committee of the Communist Party in Emigration, therefore establishing a double leadership, along with the Alternative Central Party Leadership. This caused destabilization, since one faction wanted quick revolutionary change and the other wanted to postpone the revolution. The members tried to overcome the conflict on the Third Party Congress in Vienna, but even after that, it wasn’t truly resolved. It started spreading into the lower party organizations, which resulted in anti-factional campaigns among the cadres. Đuro Đaković, one of the leaders of the party, ended up appealing to the Comintern in 1928, denouncing both factions as blocking party work. In November that year, the Fourth Party Congress was held in Dresden. The Congress reaffirmed centralist principles. The political crisis in 1928/29 caused King Alexander to suspend the constitution and introduce a royal dictatorship. The period of dictatorship lasted around three years. The Communist Party called upon workers and peasants to start an armed revolt, which then gave the government a motive to destroy the party. The leaders of the Young Communist League, including Đuro Đaković, were killed and the party’s organization was almost completely ruined. This resulted in the Central Committee moving to Vienna and losing all contact with the remaining organizations in Yugoslavia. The following years were difficult for the party, since they had to rebuild the structure but at the same time couldn’t communicate with the Committee or inform them about the exact situation in the country. The Communist party ban was not lifted until 1941. In 1935, the Central Committee decided to create a “National Bureau” so they could lead the party from within the country. This, as well as some other activities of the party, provoked the authorities to arrest around 2000 of their members. This caused the Comintern to criticize and disapprove of the Yugoslav leadership. The Comintern decided to transfer the Central Committee’s seat back into the country and to make Milan Gorkić general secretary and Josip Broz Tito organizational secretary. After Gorkić’s death, in cooperation with the Comintern, Tito reformed the Central Committee, strengthened the party financially and removed the centers of factionalism. Finally, he became general secretary in March 1939. Tito’s battle for political and organizational unity of the Party brought him to the top and many historians mark the beginning of his leadership as a turning point for Yugoslavia in general. 1941 and the entire World War period was crucial for the state of the entire world and the Balkan region as well. The spring of 1941 was a time of a couple significant events, both for Yugoslavia and the Communist Party. In March, Prince Regent Paul was overthrown by a group of Serbian military officers. On April 6th, Nazi Germany invaded Yugoslavia and defeated its army. This lead the Communist Party to decide to organize some form of resistance. They set up a war committee in Zagreb on April 10th so they could prepare for the war in which they would win “national and social liberation”. On April 15th, on a Communist Party’s Politburo session, a MIlitary committee was formed with the purpose of organizing resistance against the enemies, as well as being in contact with anti-fascist officers in the Royal Yugoslav Army. Tito was the leader of this committee. The party’s plan was to create many small similar committees so they could be prepared in case of need. In June of 1941, Hitler invaded the Soviet Union. Tito convened an urgent session of the Politburo. On this session, the Communists decided to form the headquarters of the Yugoslav Partisans. The party issued a proclamation calling all the nations of Yugoslavia to resist the enemies’ attack and encouraging the people to volunteer and help the army. With the help of the Soviet Union and later the British Special Operations Executive, as well as the American Office of Strategic Services, the Partisans took control over territories using guerrilla tactics and popularized their aims using propaganda. The time of war was crucial for the Party’s influence and power. At the end of the Yugoslav People’s Liberation War, the Communist Party assumed control over Yugoslavia. After the communists rose to power, Yugoslavia went under a big change. Communism shaped new beliefs, values, formed a sense of brotherhood and eradicated religion. As with all ideologies, communism in Yugoslavia served a dictator. In this case, the world famous dictator, Tito.